Situated in the beautiful new england area of NSW, beautiful weather, very mild climate winter and summer. 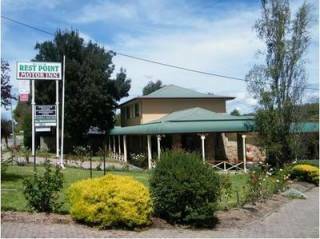 We are a family owned and run accommodation motel, accommodation from single to family rooms. Jillaroo Motor Inn offers continental breakfast, a children’s playground and a 24-hour front desk. Free WiFi is available. most areas. Each room at this motel is equipped with a flat-screen TV, toaster, electric kettle, microwave and a refrigerator. On a cool night, guests can use the electric blankets provided. We are situated on the new England highway 1 hour from Armidale NSW and Tenterfield NSW. 5 minutes from town centre, clubs hotels, cafes supermarkets . Glen Innes has a very strong celtic herritage following, annually a celtic festival is held attracticing record numbers. Visitors of guest welcome, no overnight stays in guests rooms. Travelling from the south ie armidale we are the second motel on your left.